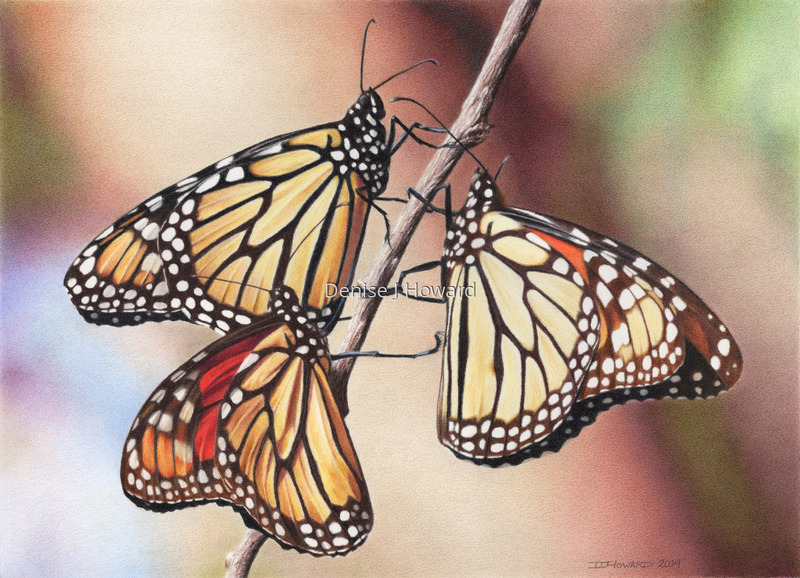 When I saw these three monarchs together, they reminded me of the various renditions of "the three graces" in Renaissance art--a trio of females holding hands and dancing in a circle. Colored pencil on Strathmore 400 vellum bristol. 5" x 7"9" x 12.5"13" x 18"